Convert iTunes DRM protected m4p to mp3 aac on Mac. How to convert M4a to MP3, iTunes to MP3 AAC on Mac? Remove DRM protection iTunes on Mac? How to convert DRM protected wma files to MP3 AAC? Download YouTube Video, convert it to PS3 Zune 3GP? How to convert DVD to iPhone on Mac OS X ? How to convert MSN Music to MP3 step by step? How to convert Napster protected music to MP3, iPod ? PPT to PDF Converter is a fast and affordable utility for you to convert Microsoft PowerPoint presentations into PDF files with high quality. You can also get PDF files from Word (.doc) and Excel(.xls). 1. Convert Microsoft PowerPoint(.ppt), Word(.doc), Excel(.xls) to PDF files. 2. Keep the original quality from your PowerPoint in new PDF files. 3. Supply various custom settings, like General, Compress, Colors, Fonts and Misc. 4. 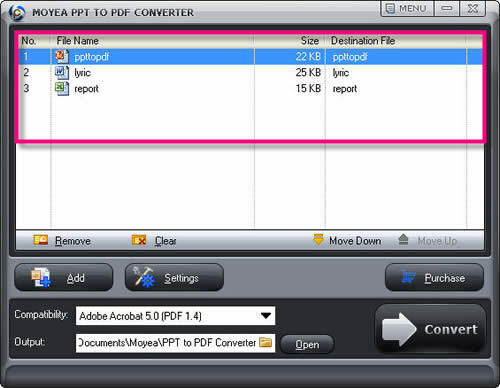 Open PDF files automatically once complete the conversion of PPT to PDF. Tutorial: How to convert PowerPoint/PPT to PDF files? Step1. Please download PowerPoint/PPT to Pdf Converter. Add PowerPoint files to PPT to PDF Converter by click icon, select Compatibility and assign the Output folder for the PDF files. Click icon, you can make custom settings (General, Compress, Colors, Fonts and Misc) for converting PPT to PDF. Press the button, it will start to convert PowerPoint to PDF. Once finishing, you can open the PDF files directly. 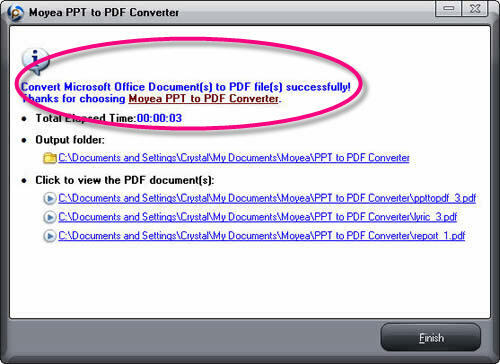 How to convert PDF to Excel document with PDF to Excel Converter? How to Convert PPT to CD with AutoPlay me for PowerPoint? 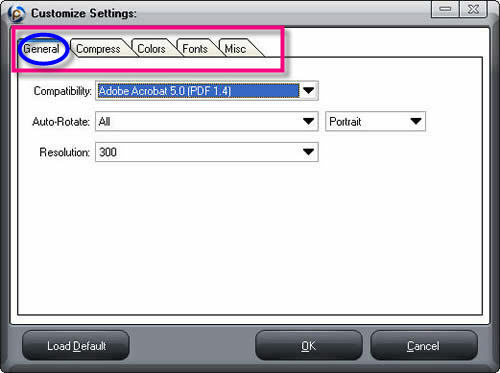 How to Convert PDF Document to TIFF Format with AP PDF to TIFF Converter?